Hello Venus Profile 2016 - OH MY KPOP! She was born on March 13, 1991. Nara is a vocalist of Hello Venus. Her height is 172 cm. Her weight is 52 kg. She was born on March 21, 1990. Ju Hee is the main vocalist and leader of the group. Her height is 166 cm. Her weight is 47 kg. Her blood type is B. Her stage name is Alice. She was born on January 19, 1993. Hye Lim is the main Rapper of Hello Venus. Her height is 169 cm. Her blood type is O. Her stage name is Lime. Yooyoung is the lead dancer and lead rapper of the group. Her height is 170 cm. Her Weight is 49 kg. She was born on June 4, 1996. Yeoreum is the maknae of Hello Venus. Her height is 167 cm. She was born on June 27, 1994. Seoyoung is a lead vocalist of the group. Her height is 164 cm. Yooara used to be the leader and main vocalist of the group. She speaks Japanese and Korean. One of Yooara’s best friends is E-Young from After School. She is still managed by Pledis Entertainment. Yoonjo used to be the main vocalist of the group. Her height is 165 cm. Her weight is 45 kg. Her blood type is AB. Hello Venus is maxed by Tricell Media. They won 2 awards so far. The group debuted on May 9, 2012 with their first album Venus. 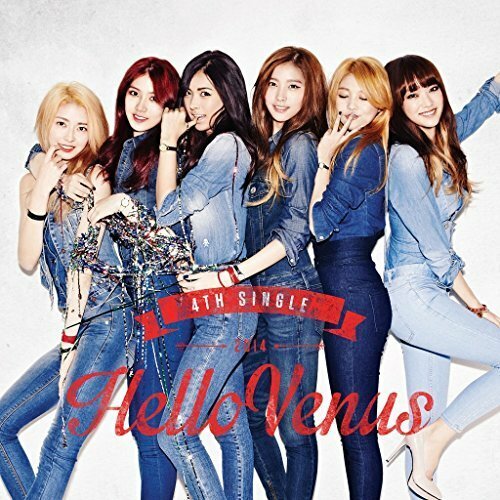 The Hello Venus members appeared in a couple of Korean dramas and TV variety shows. We will add more fats about the group over the coming weeks. Any ideas on what else we should add to our Hello Venus profile? Let us know in the comments. All the Hello Venus concerts and events in one place. There are no events in your area. This rounds up our Hello Venus profile. We tried to get as many information as possible about the members and the group. Please let us know what you think about it and may be you can also tell us, who your bias is.